I love seeing where other people create. 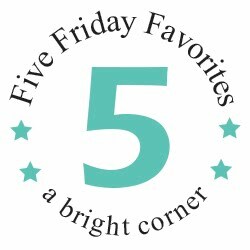 So this week's Five Friday Favorites include 5 sewing room photos that I find inspiring. First I have to say that I'm hoping to keep things real here. Let's be honest. We'd all love a magazine-cover-worthy sewing space. But we can't all have that. We find a spot in our home that we can carve out for ourselves. And then we make it pretty. And pretty functional too, right? For many years I shared a room (small!) with the family computer. And before that, my sewing space was in the closet of the spare bedroom. I built myself a special table that would fit inside and allow the closet doors to close, but tall enough for me to sew at. It worked. I made the best of what I had. It was similar to this, although waaay less cute. I'm lucky enough to have a room now, but I don't think there's a week that goes by that I don't appreciate the fact that I can make a big creative mess, close the door and come back days later and pick up right where I left off. 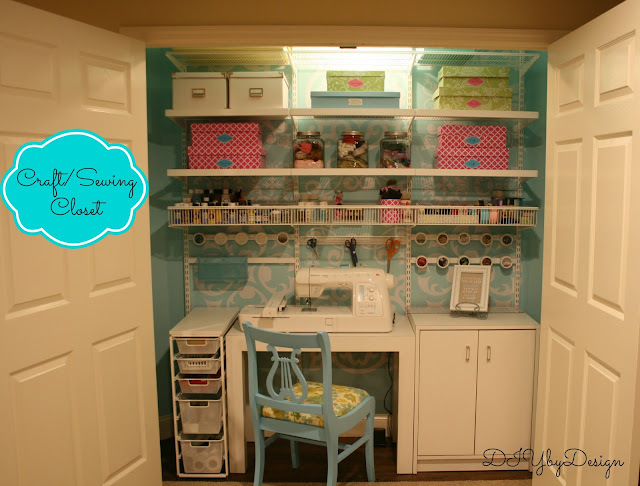 So here are my 5 favorite sewing room inspirations! Hopefully you can find a bit of inspiration as well, and make your own space into something that inspires YOU. Here's why I chose this one. It's gorgeous, yes. 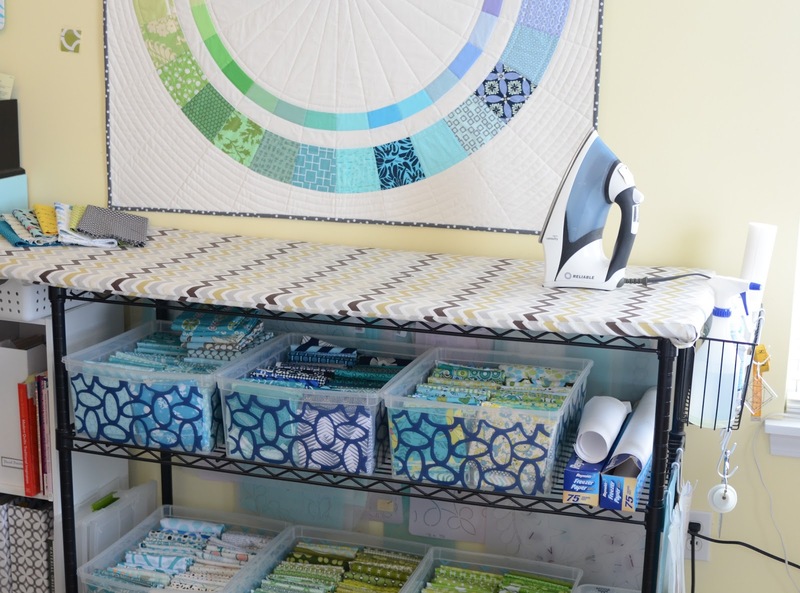 But what I hope to bring to my own space is the brightness, the airy curtains, and how she displays her non-quilt items along the top of her shelves. Clever! You can see more of Tasha's room here on her blog. Another screen shot grabbed from Instagram (I'm there a lot). 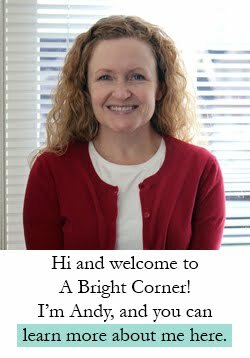 What inspires me about LeAnne's photo is the color of her table! Why don't I think to paint a table?? Painting furniture is just really not in my skill set. But I love how her table brings brightness and charm to her space. 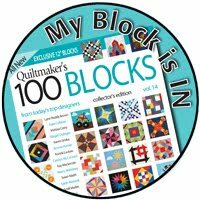 And I'm also inspired by her wall of mini quilts. I'm trying to add to my mini wall (slowly but surely!) 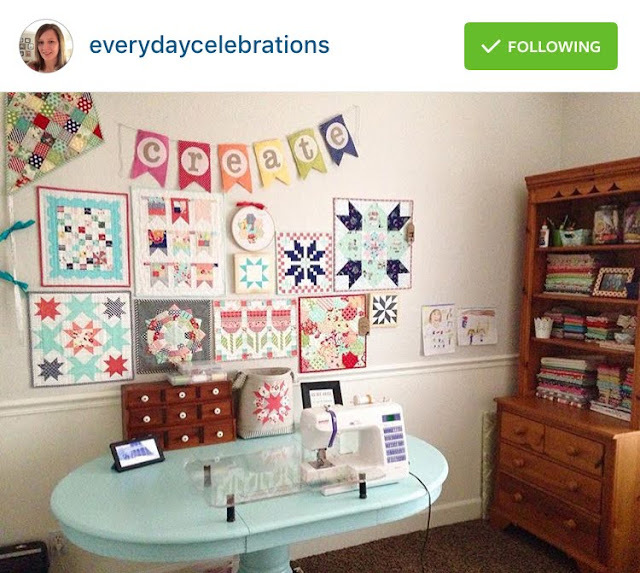 Follow LeAnne on IG (everydaycelebrations) or here on her blog. I chose this photo as one of my inspirations because of Cindy's pressing station. 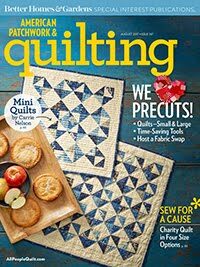 How nice would it be to have a longer and wider space to press all of those quilt tops? And I love that her pressing station has added storage space. Bonus! You can see more of Cindy's sewing room on her blog here. And follow Cindy on Instagram @clammon. I recently found Angie on Instagram and I don't know much about her. 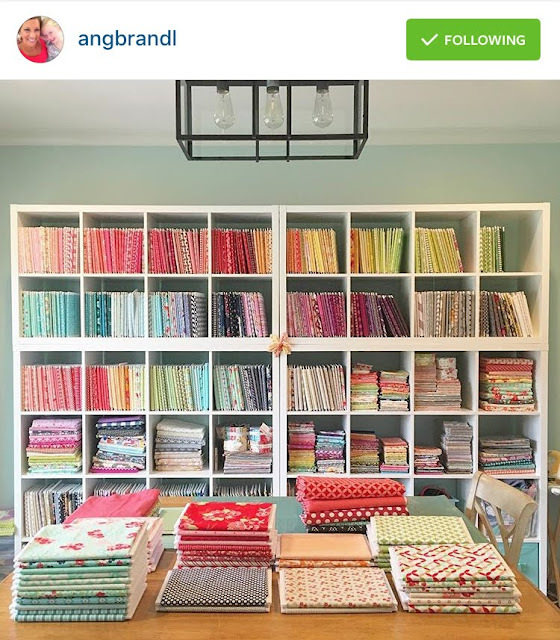 But this photo of her fabric shelves is AH-MAZ-ING! 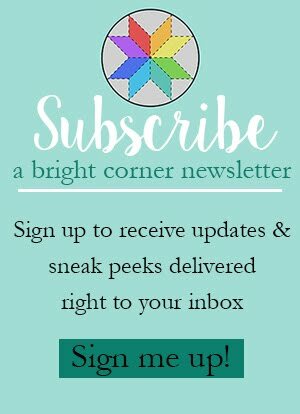 I'm including it here on my list because of her organization! She's wraps her fabric around foam core boards that have been cut down to the same size. Really clever. It would take me forever to do this, and I don't have space for these shelves, but this has inspired me to take a second look at how I organize (and store) my fabric. So there you go! Just a handful of the sewing room photos that inspire me. You can see more sewing room photos that inspire me here on my Pinterest board. What are you inspired by? 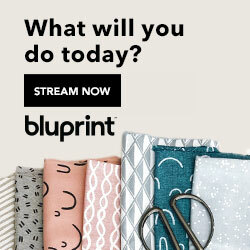 What would you like to add to, or change about your sewing space? Love all this sewing room sharing - thank you :)! Love the idea of the Foam core boards to wrap fabric around. Just a few would be great to wrap some of my backing fabric around - just until I use it ;)! I really like all of these ideas. 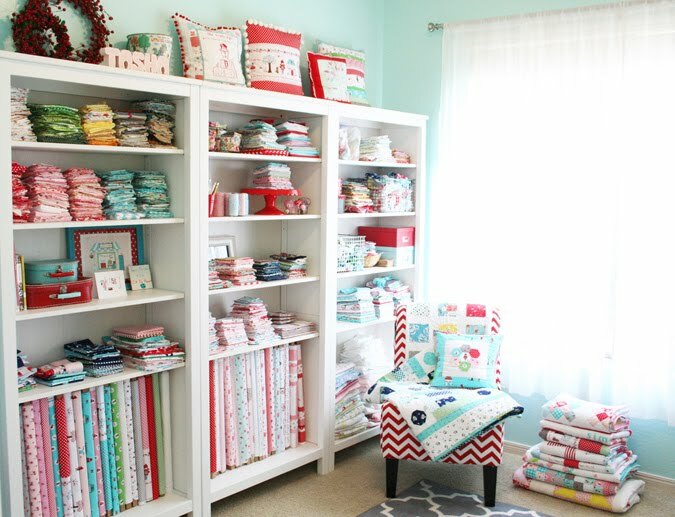 Except - - my sewing room has to be turned into a bedroom when my kids come to visit. Maybe some shelving would help me organize better. Love these ideas Andy. 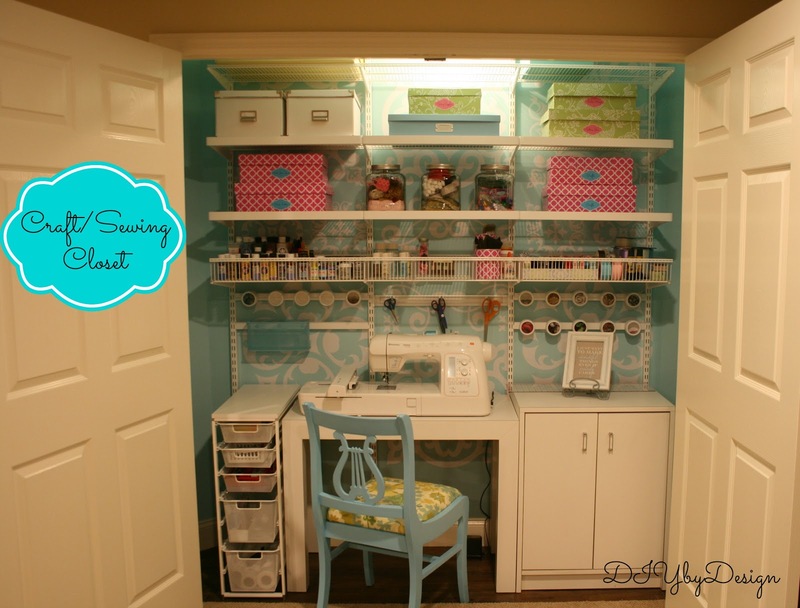 Perfect examples of great sewing areas! Thanks for sharing. They are especially helpful right now! Thanks for the love, friend!!!!! Lovely collection of rooms! Looking for ideas for my room too. 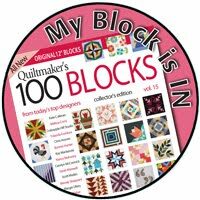 The picture of Buttons & butterflies was a real surprise as it shows a mini made with my paper piecing pattern ( paint it ) . I hardly ever see pictures of projects people do with my patterns!